Former MotoGP contender Claudio Corti will make his Bennetts British Superbike Championship debut next season as the Italian returns with the GR Motorsport team, who will continue their eight-year-long partnership with WD-40 in the series marking the return of Team WD-40 to the 2019 grid. The 31-year-old from Como, Italy made his debut in the British paddock with the Sheffield-based squad this year, learning the UK circuits and edging closer to the podium positions. A former European Superstock champion and MotoGP rider, the Italian contender is now keen to make his mark on the Superbike class. The team extend their collaboration with high performance product WD-40 into an eighth season, which has included highlights of Motostar and Superstock title victories before progressing into the premier Superbike class in 2014. 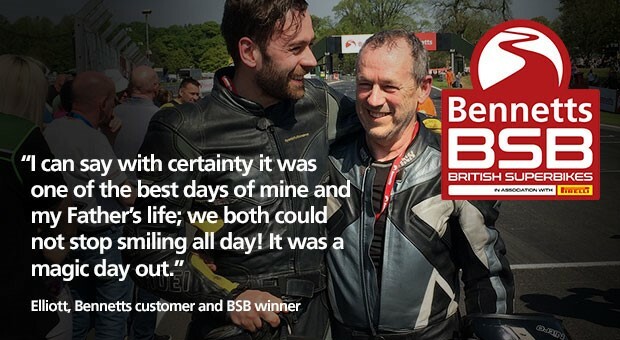 The team also continue to maintain their championship winning presence in the support categories, with the STAUFF Quick Connect Academy alongside their Bennetts BSB effort. Corti said: “This is very exciting for me; I have raced in a lot of different championships around the world and there is something special about BSB. I have enjoyed the races this year with the team and I would like to thank Brent, Geoff, the team and everyone at WD-40 for the opportunity to race in BSB. David Whittome, Head of Marketing at WD-40, said “we are thrilled to be part of the championship again next season, which we’ve seen really grow in importance to us over the years. To have Claudio as part of the team is fantastic! Claudio rode with the Team last season as part of the STAUFF Quick Connect Academy, He was the rider we most wanted due to his experience, ability and passion for winning. Next season will be significant as we look to turbo charge the WD-40 brand in motorbike and, with Claudio in the hot seat aboard the Kawasaki ZX10RR, we know we’ve got a great chance of building on our Team WD-40 winning formula”. Team owner Brent Gladwin added: “We are absolutely delighted that we can announce our 2019 plans before the Christmas break. We developed a fantastic working relationship with Claudio this season as part of The STAUFF Quick Connect Academy. We quickly built a great relationship as ‘Shorts’ became part of the team, he really impressed us with his overall attitude, skill and desire to race. We now look forward to working together in the Superbike class and taking the next steps forward."